Unfortunately, it feels more like summer around here than fall this week. But that doesn't stop my love of fall fashion. Ever since my mom took me back to school shopping when I was little, I have had a mad love affair with fall fashion: boots, jackets, sweaters - BRING IT. I would bring my haul home, rip off the tags and try everything on, spending time creating different outfits and matching the new with the old to make even MORE outfits. Based on my recent trip to the mall, little has changed. I still love fall fashion - it's my favorite season because you can really wear piratically anything. And while that may seem overwhelming, there are a few key pieces that you should have in your wardrobe. These pieces will work with things you already own, to expand your options and carry you into winter. What are these magical fall fashion pieces? I'm so glad you asked . . .
Let's start with a great jacket. You can go one of tow ways here (or both if you really want to kick up your options). A great denim jacket and/or a blazer. When fall weather finally arrives, many times you need an additional layer in the mornings and evenings, and that's when a great jacket can be your best friend. 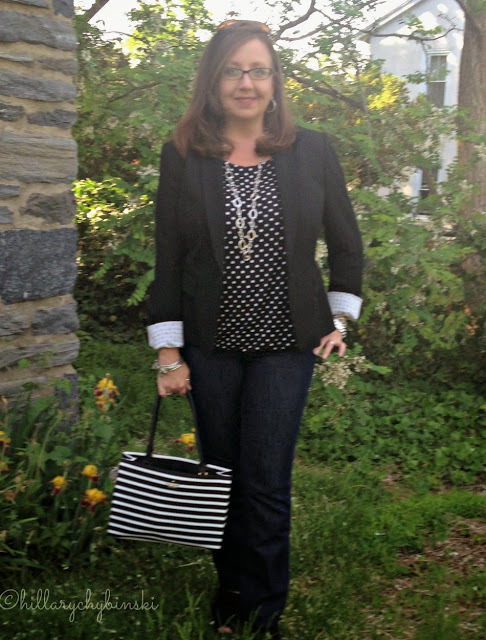 I have a black blazer I scored on the clearance rack at Ann Taylor a couple years ago. It's suitable for every season, and has classic styling. It looks great over dresses or worn with jeans. A pair of boots. These can be booties, riding boots, over-the-knee boots, whatever floats your boat. But a great pair of boots in black or brown are a must. Personally, I like to have a variety of boot styles and colors, because they are my favorite fall and winter footwear. I live in my black booties and have them re-soled once to prolong their life. This year, I am in search of a new pair, so stay tuned! 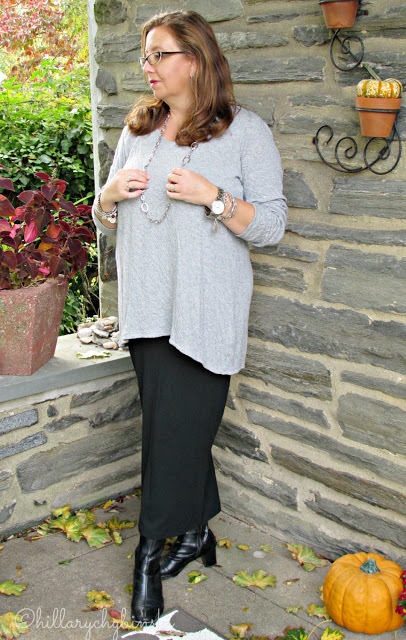 A Slouchy Sweater. Think of the slouchy sweater as a sweatshirt for grown-ups. because it's a sweater it elevates your look just a bit. Don't confuse slouchy with sloppy though - then you will just look a mess! 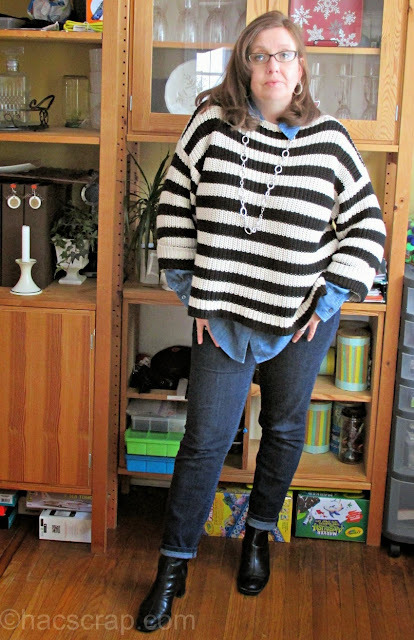 When I say slouchy, I'm referring to a bit larger sweater that falls mid-hip. It typically pairs well with skinny jeans and pants, leggings and skirts. I picked of a pearl grey one at Ann Taylor last fall, and it looks like I haven't shared it yet, so I'll be sure to fi that! A Cozy Skirt. 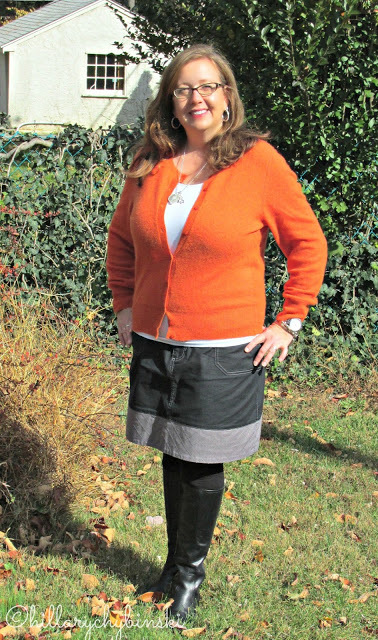 I love the look of a great fall skirt, tights and boots. Picture a jewel-toned wool pencil skirt, paired with a black turtleneck or crewneck sweater, black tights and black booties or boots. Need a more casual look? Pair your skirt with your slouchy sweater and a pair of loafers. For fall skirts, think about the fabric. Suede, corduroy, dark denim or even quilting can all be great choices for fall. Just watch it doesn't add too much bulk to your look. Something Leopard. Leopard print is my new favorite neutral. J Crew is showing a fantastic leopard skirt paired with a chambray shirt and I love the vibe of that outfit. Think cardigan, scarf or shoes when it comes to leopard. Nothing dresses up black or denim, like a leopard shoe. And while they make leopard print in a variety of colors, I suggest leaving that for the kids and sticking to classic leopard. 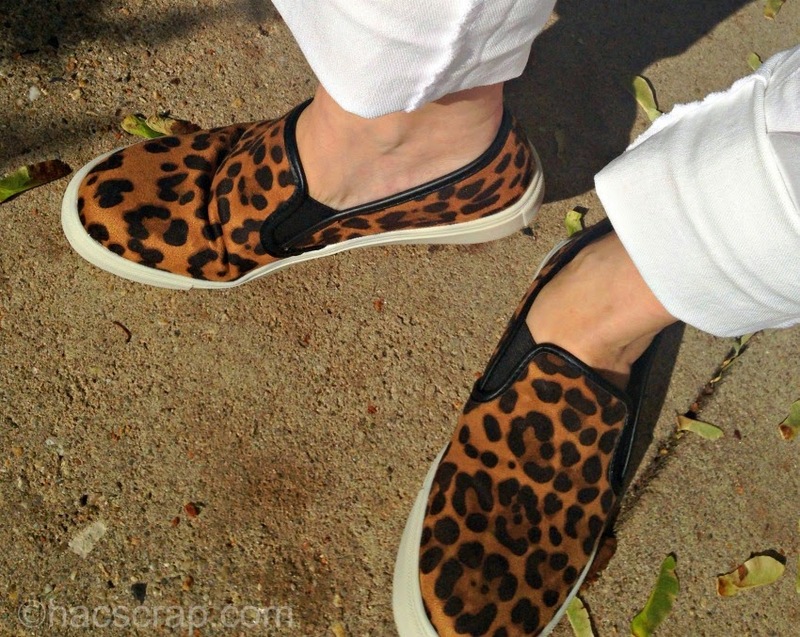 These slip-ons from Target are one of my favorite leopard accessories. I am on the lookout for a great scarf, so let me know if you find one! 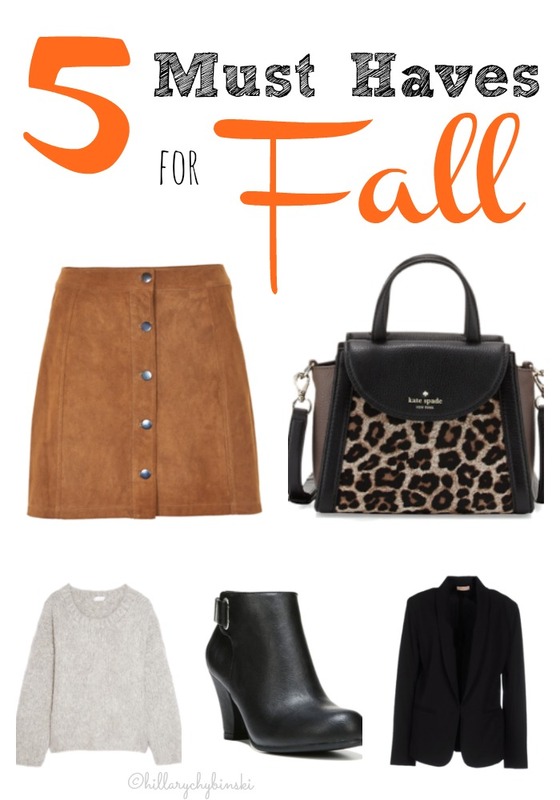 What makes these the five must have fall fashion pieces? Their versatility. If you have the wardrobe basics already, then these five pieces bring you over the top for fall. They can be mixed and matched to make a hundred outfit combinations so you never have to worry about what to wear. What's on your fall fashion must-have list?